Happy Friday! With the way that my schedule has been lately, I don't even realize what day of the week it is most of the time. But, when I discover it's Friday, it's always a good surprise! This tie shoulder top is so super comfy. Seriously, its the comfiest shirt that I own. And these shorts have easily become my new favorites. 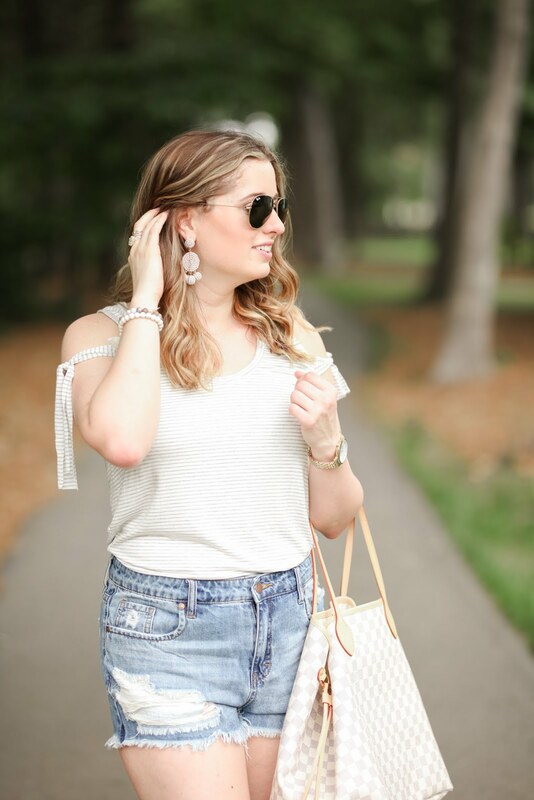 I am all about some distressed denim shorts and good ones are so hard to find!! On another note, there are so many great sales happening right now. 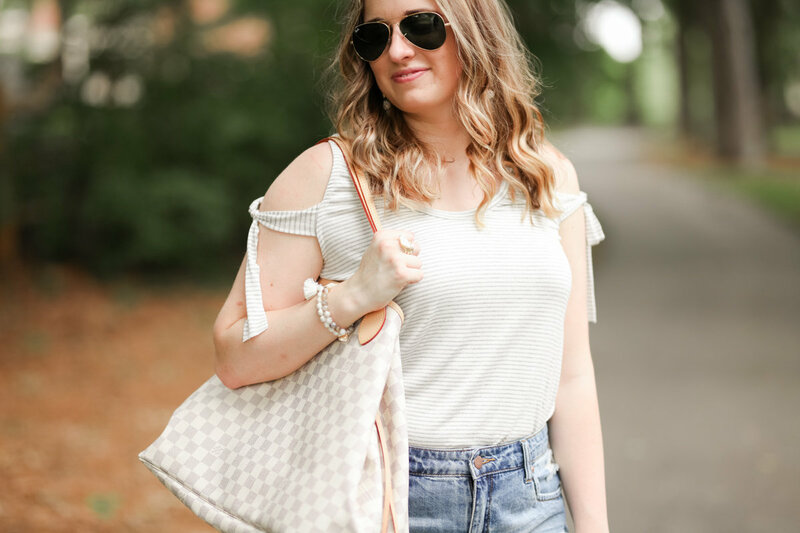 I have been searching for the perfect light gray bag and I've finally found the one!!! And to top it off, it's 40% off!! !